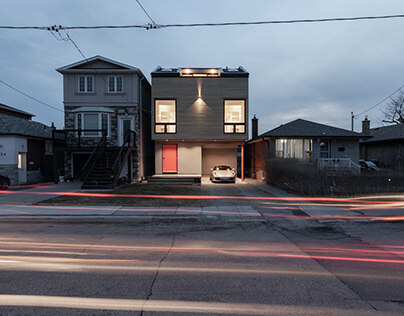 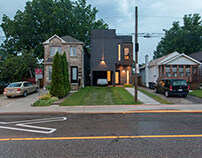 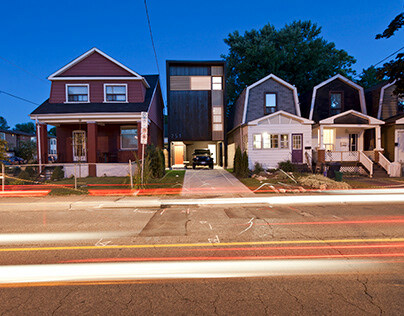 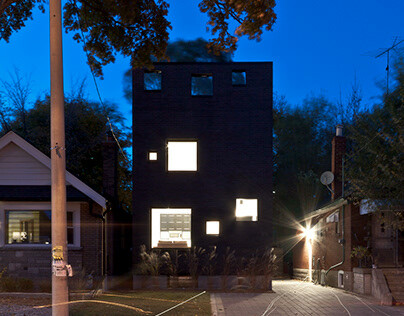 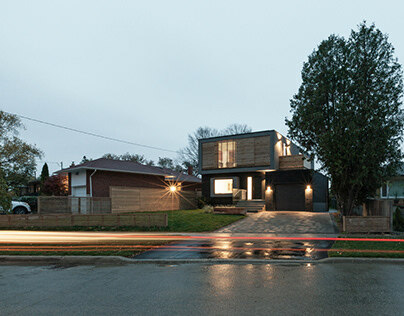 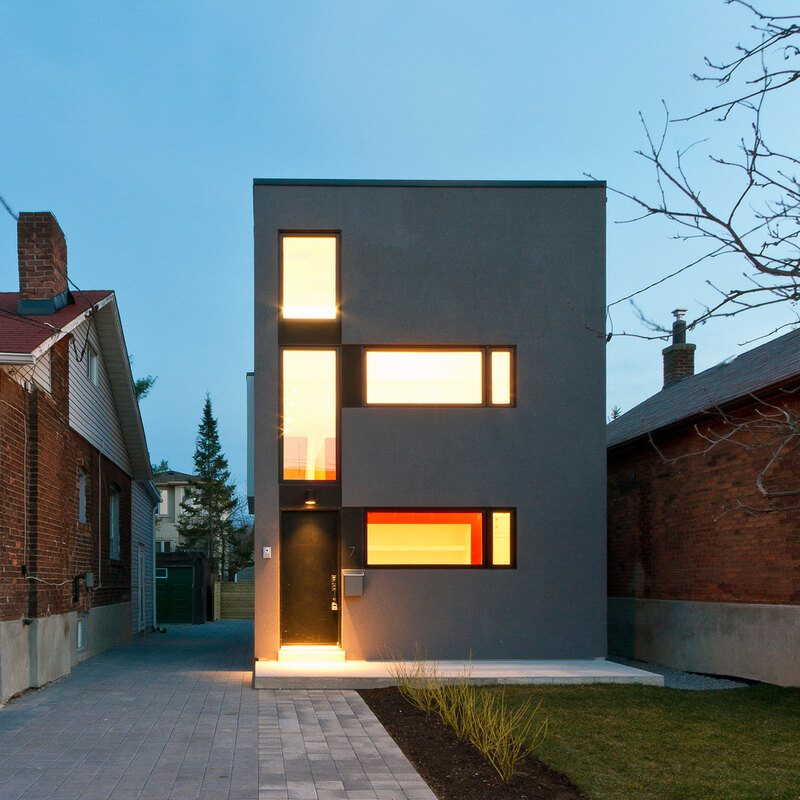 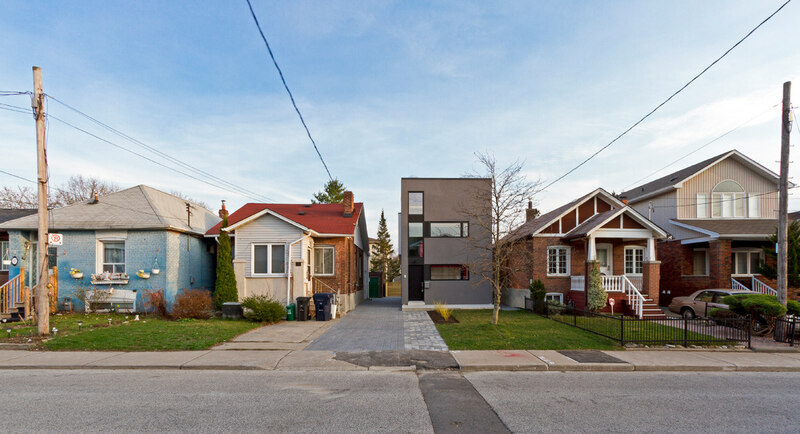 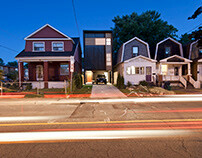 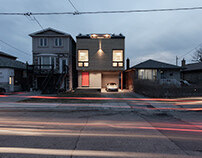 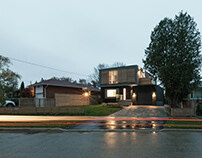 Situated in Woodbine-Lumsden Neighborhood in Toronto, the lot shares a driveway with its neighbor forcing the architect to design the house even narrower than what zoning bylaw allows. 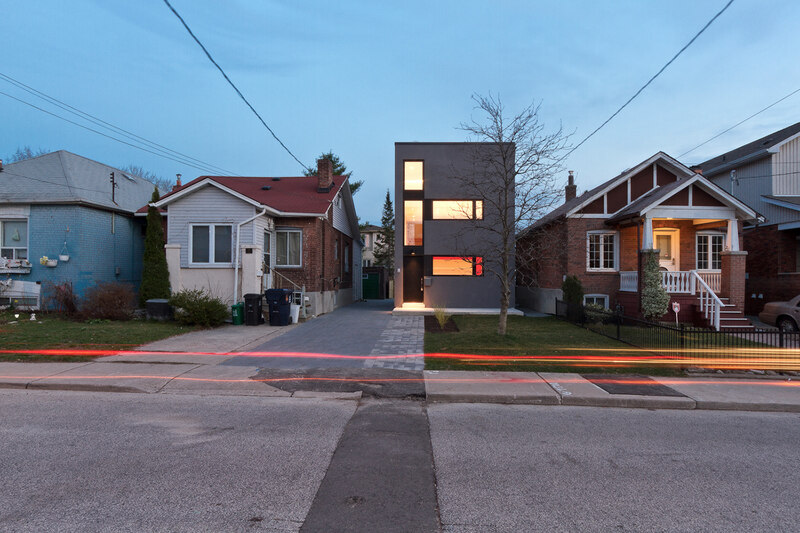 The final design is a 15 feet wide three-storey wood structure that celebrates linearity and sectional revisions. 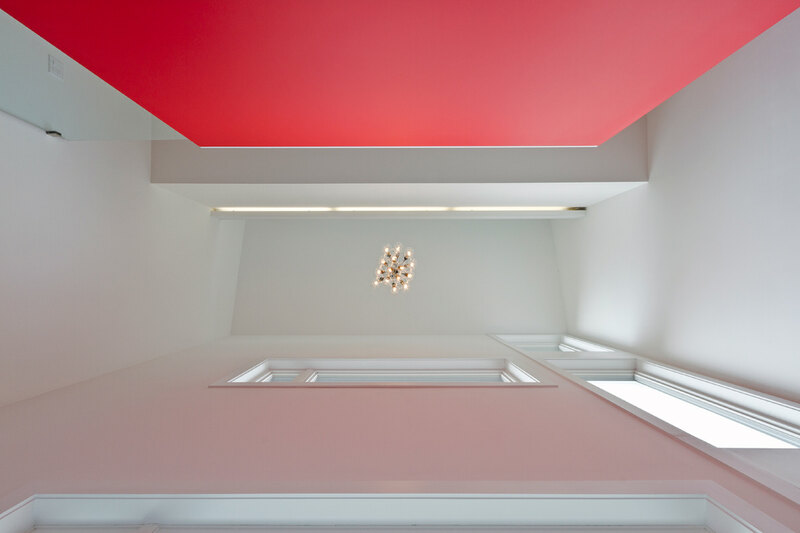 Upon entrance to the house the distinguished red box containing the powder room stands out in the middle of the welcoming three-storey height space acting as a visual barrier between the home office in the frontier of the house and the more private domestic areas, kitchen and living room on the main floor. The circulation around the red box leads to the main floor and from there to the contemplation space on top of the box where one can overlook the spaces in the house as well as the outside view from the horizontal glazing on the front façade. 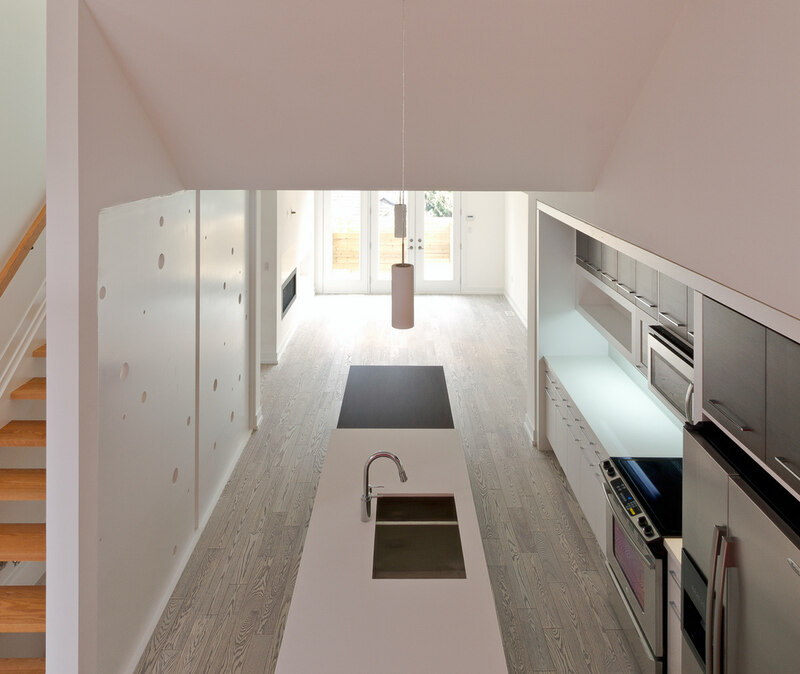 The main floor contains a linear kitchen and staircase that act not as visual barriers to the rest of the main floor, but as passages that emphasize the length of the house and lead the south side natural light towards the interior spaces. 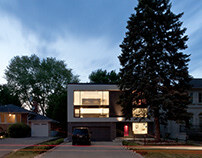 The private domain of the house is situated on upper levels. 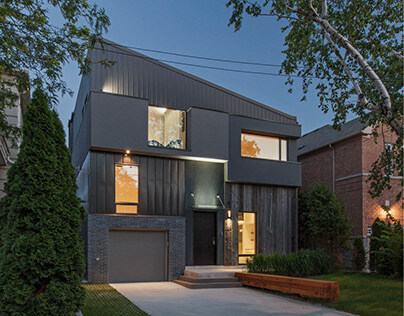 The two bedrooms on the second floor share a washroom while the master bedroom on the third floor enjoys a private view to outside world from the windows on north façade, the skylight on slanted ceiling, and the foyer on entry level. 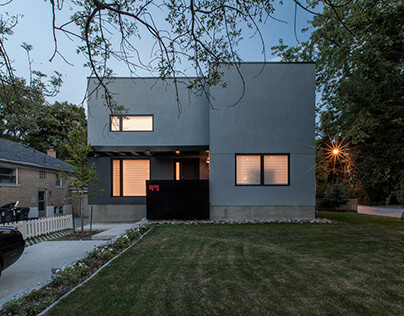 The exterior façade is designed with careful attention to the interior arrangement of the house. The vertical linear glazing corresponds to the levels and the main staircase, so when one descends the staircase the exterior views are never lost. 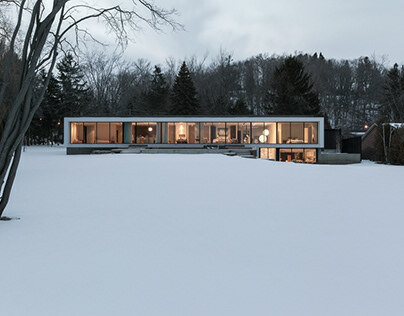 The horizontal glazing on level one and two respond to the office and the loft respectively. 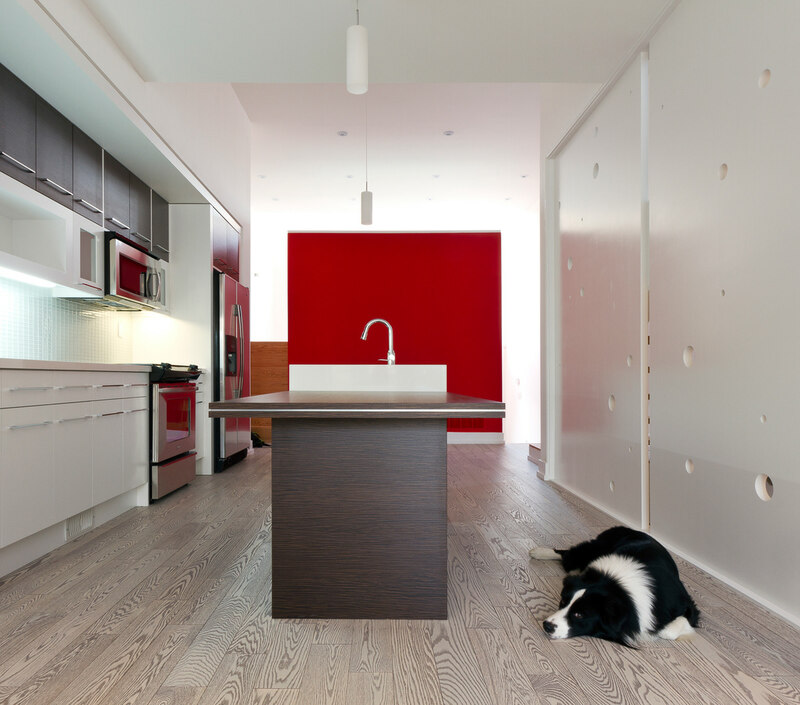 The giant grey whale rests on a land well decorated by its surrounding landscape, the pavement and the vegetation follow the geometry of the house leading you toward a metaphorical journey and a space well designated for hours of meditation and relaxing thoughts.